Hey everyone! I have so much to tell you this week. We've got the Dare, a giveaway, some updates, a big surprise, and a teaser about a tutorial I have in the works. First, the updates. I have had a very busy schedule the last couple of weeks and was falling behind on my own tiles for the Zendala Dare. I was a little embarrassed about it but I'm all caught up now and appreciate your patience. If you would like to see what I posted for the last two Dare's you can look here and here. Secondly, I noticed some weirdness on my blog this week. Every once in a while an old blog post will get some extra hits but it is usually because someone has posted it on Pinterest or mentioned it in a class. This week I noticed that my post about my tangle Socc was getting a lot of hits and I mean A LOT! I have to admit that my schedule has been preventing me from keeping up with the Diva Challenge for the past few weeks so when I finally realized that Socc had been chosen for the Use My Tangle challenge I was completely taken aback. I have been overwhelmed by the positive responses I have received and am so honored to be featured on the Diva's blog. Thanks Laura! I was also very excited to get a surprise in the mail this week. Several months ago Suzanne McNeill, the author of many books about Zentangle, asked if I would like to be in a new book about Zendala's. Well of course you know my answer! Yes, Yes, Yes! The book arrived on my doorstep this week and I don't want to brag (but I'm going to anyhow) but my Zendala's turned out great! It is such an honor to be included with so many other amazing artists, including some of my fellow CZT 7 graduates! Want to see more than just the cover? Well it just so happens that I am giving away a copy of this awesome book. Simply enter below using Rafflecopter and you will be entered to win. I also wanted to give you a heads up about a tutorial I will be posting within the next week or two. I have been working on it for over a month now and I think you guys will really enjoy it so make sure to check back! Not only is the tutorial pretty cool but you know how much I love giveaways! When I scroll through my templates each week and decide what I would like to use, this template seems to always catch my eye but for one reason or another I decide against using it. Well, this week it won out, for good or bad, you decide. Since I needed to do a tile using Socc for the Diva Challenge I figured why not kill two birds with one stone. This piece measures 8 inches across and is a mono tangle which was a lot more time intensive than I had bargained for. What do you think? Remember to link up below and don't forget to enter the give away! Hope you have an amazing week. I love your Socc tangle and I'm excited to try this Zendala template. It's great how the template has disappeared almost completely in your Zendala. I actually have a copy on the way already, but I'd love to share with a tangle friend if I win, so please enter me!! Great new template and your Socc zendala is really cool!! Had fun playing with the pattern for the Diva challenge! I should have visited your site BEFORE I did Socc. I did follow your tutorial but your Zendala shows the tangle off beautifully. Congrats on contribution to #7. Your Socc is beautiful. It almost as if it gives light. Love your zendala with Socc pattern. Congrats on the new book, great zendala this week. Socc looks like a very useful tangle & I was thrilled to see your tangle had been chosen. I'm just starting to work with the Zendala format & would absolutely love to win the book - I'm working my way through the series & was delighted when I saw there's one devoted to Zendalas. It takes a very long time for things to filter through to the UK though. Your Socc Zendala sample is super & helps me no end with some of the questions that are trying to escape from my brain. Hope you have a good week & thanks for all you do. I haven't done any zendelas yet. I am anxious to try. They look a lot more demanding than a zentangle. Congrats on your entry into the book. I like Socc. A wonderful Zendala Erin! and I love your tangle 'Socc'. This week was the first time I had seen it and I fell in love with it :) Thank you. I'm already excited to try this zendala and may end up doing a couple since it looks so cool and ideas are popping into my head. I didn't get a chance to do the challenge this week (yet?) because it's coming up to Christmas craft fair season and I have to build up some stock (wise owl pillows) for two biggies! I love SOCC though and have used it a few times with many more to come. 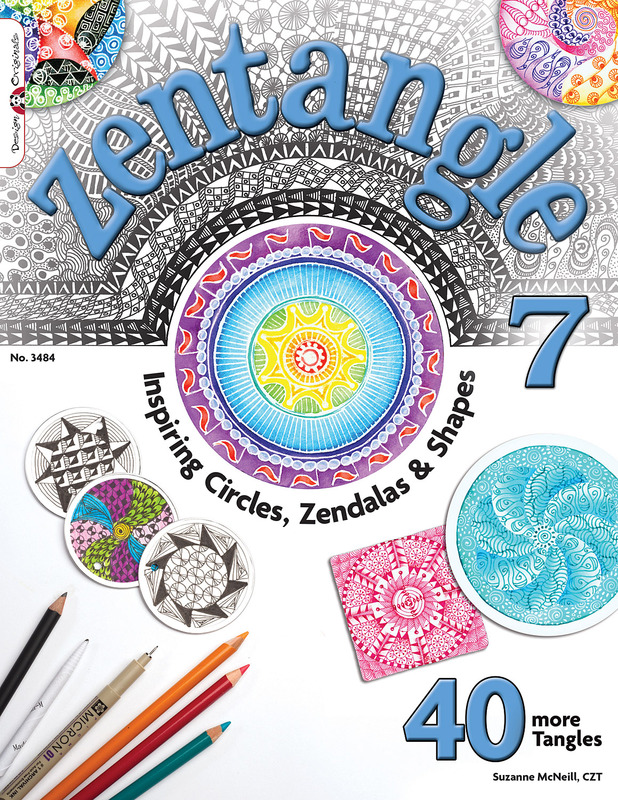 Nice that you are appreciated and admired enough to be included in the new Zentangle book - you deserve it! Can't wait to get a copy (either by winning ;) or buying it!). Oh, how I would love to win this amazing book! Thank you so much! Congratulations on having your work in the new book! I'm looking forward to doing your challenge as my very first Zendala. Thanks for the giveaway and CONGRATS! on being included in the book!!! I would be so excited. I added your blog my reference list recently for my students as a site they need to visit. Thanks for the chance to win!! I love mandalas and love your dares each week too! Congrats! And I'm looking forward to tangling this template too. Your tile of the finished zendala is fabulously gorgeous! I loved Erin's monotangle, but in the end I put all sorts of itsy-bitsy doodles in my version of dare 31. Congrats, Erin! You're the zendala queen! I love this week's template. Your version is gorgeous, and I can't wait to try it. Congratulations on being in the book! I'm not surprised...your work is amazing! I'm looking forward to the tutorial. I couldn't do the linky thing since I don't have a blog. I do LOVE being a subscriber tho! Congrats again and thanks so much for the chance to win this fabulous book! Congrats on being included in Suzanne's book, and thank you for the chance to win! Congrats on your inclusion in the book! What an honour :) Love your zendala template this week, too! Thank you for Socc, it made this rainy Saturday much more joyful. And congrats to the book. Congrats on your being published! Great book! And I can hardly wait to get into this zendala!!! Thanks! Who wouldn't want to win the book? I know I do. I love this template! I think it screams for a mono tangle. You have done a delightful job using socc on your zendala. It looks really soft and fluffy!! 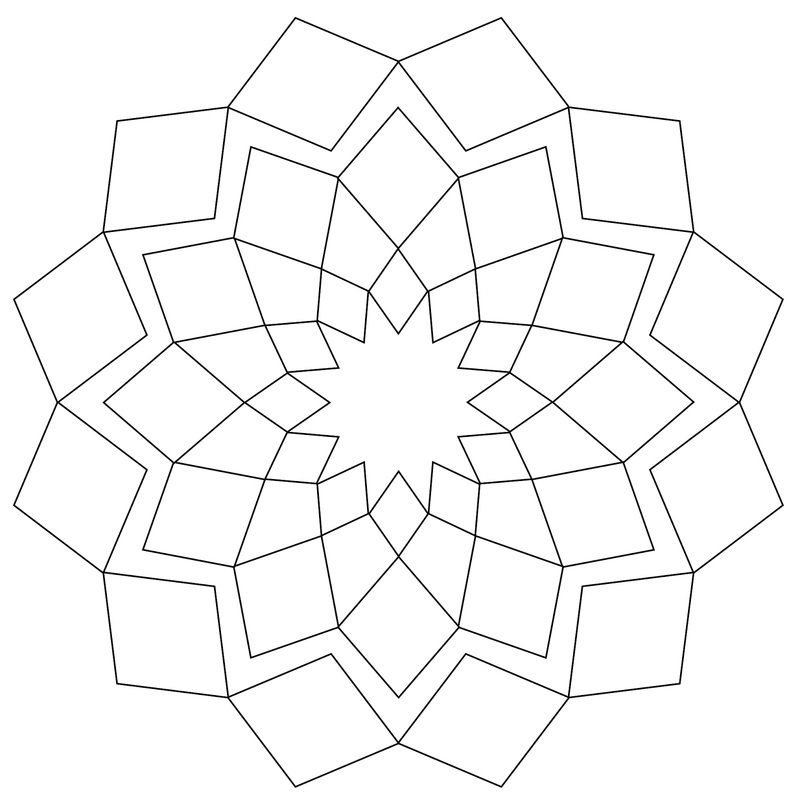 and - this is a beautiful zendala template this week! Thanks for the great opportunity to win! Thanks for a fabulous giveaway! YayyyyY!!!!! I would love to win that book! 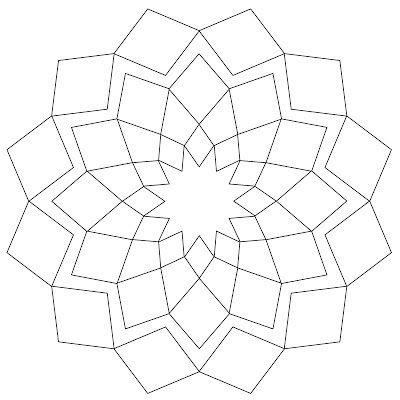 I love what you do with mandalas!! This week's template looks..... intimidating. But will give it a try. Looking forward to your surprise tutorial...... and thanks for the 'giveaway'. Congrats on your new adventure. The book sounds wonderful I can hardly wait to see your work! I can't wait to see the new book! Amazing template, hope I can get myself to try it. I just tried Socc this past week since I saw so many ZIA's lately. I would love to win this book as it is already on my Amazon wish list and because I have downloaded many of your templates and started doing them, but not the most recent one. I love doing these templates of yours and I am excited to see how they turn out. Thanks Erin for your templates and for this chance to win this fabulous book. I followed a rabbit trail from PaperArtStudio on Flickr. These seems like fun. I will have to remember to come back here more often. Thank you Erin for this wonderful dare! I loved it so much! I'm late, but hopefully not tooooo late. Love the book prize and would love to be the winner. Congrats on being part of it. And as for Socc, I missed out on doing the challenge, but love what you did with it and totally believe it was intense. Congratulations on a big achievement. May you find much joy in your continuing tangling adventures. How exciting!!! Such a great honor to be in the Zentangle 7 book! You are such a wonderful inspiration to all of us. Thank you! Love this Zendala and had fun doing it!!! Dear Erin, I just have to tell you that I have become entranced with your zendalas!! I think I'm addicted! Doing them once isnt enough any more, has to be at least twice now!! Thanks for the pleasure they give. Your work is appreciated very much, thankyou. Thank you Erin! And Congratulations on being in the book! Very exciting! I think your piece is gorgeous Erin, it looks translucent!